The European Tour visits Saudi Arabia for the inaugural Saudi International at the Royal Greens Golf & Country Club. 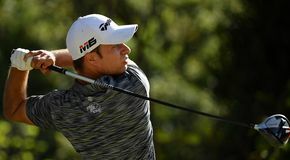 Not sure what to expect, Team TaylorMade arrived at the immaculate course on Sunday and were greeted by some familiar weather – heavy rain and strong winds. 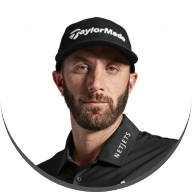 Dustin Johnson requested to work with the team to look at his driver, however with the weather proving to be a challenge the team had to think quick and always being up for a challenge, they found that the hotel they were staying in had an indoor simulator. 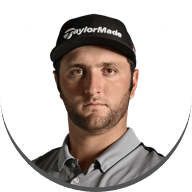 Like many on Team TaylorMade, DJ made the switch into the new line of drivers quickly. Gaming the adustable M5 driver, he requested to do some shaft testing looking to increase his ball speed to the 185mph mark! After spending roughly an hour hitting balls in to the screen, DJ left the simulator with 4 drivers in his bag - 2 M5 drivers and 2 M6 drivers. DJ was seeing the ball speed he wanted, but needed to get out on the course to see if he was getting his preferred ball flight. The next morning Adrian Rietveld met up with DJ on the range in perfect weather conditions and managed to get the 4 drivers down to 2. After some on course testing and taking the M6 driver out for a spin in the Pro-Am, DJ made the change to his set up this week, favouring the forgiveness of the M6 driver. Friday proved to be a statement day as DJ made seven birdies and en eagle to shoot a 61 (-11). 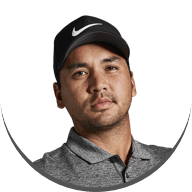 The round was DJ's lowest score in 984 professional rounds and also the new course record. Haotong Li arrived in good spirts this week and gave great feedback to the tour team on his M5 driver. One switch to his bag this week is that he's favoured the M6 fairway over the M5. 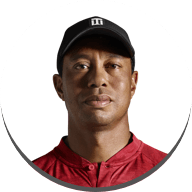 In Abu Dhabi and Dubai, Hoatong needed a 'hot' 3 wood and he used the Rocket M5 fairway which was low on spin but gave him the extra distance that he needed. 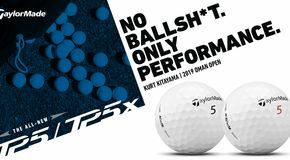 This week he wanted slightly more spin which would land softer and shorter and has opted to go 10g lighter in the shaft. 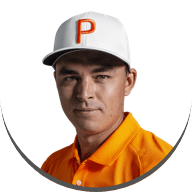 As Haotong prepares to make his 2019 PGA Tour debut, he’s requested for a set of P760 irons to be built in his exact specification, currently he plays P750 irons with a M3 3 Iron but is looking to clean up his irons and feels the progressive nature of the P760’s will have the performance he’s looking for. "First of all, I think the True Path alignment in this is going to be a huge help. 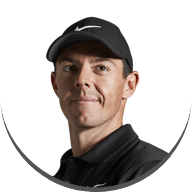 Stability wise, you aren't always going to have a perfect stroke, so if you can get something that gives more forgiveness and gets it rolling closer to the right starting line, it will make putting so much easier." 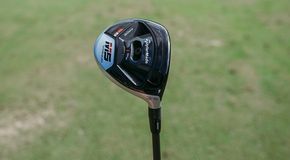 Many of Team TaylorMade have been testing Spider X before it was unveiled earlier this week with some already putting it in the bag. Eagle eyed viewers may have noticed Lucas Herbert last week and throughout the upcoming weeks there will be plently more!